At 22, I was teaching Western American history at San Jose State University. 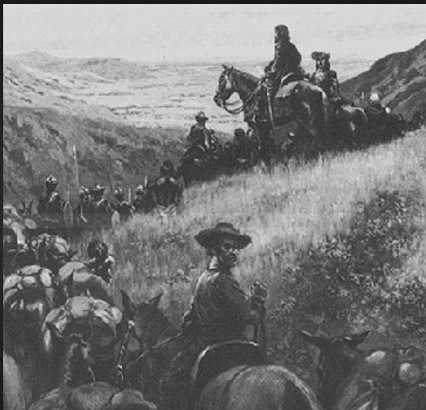 I read voraciously about the westward movement of the American frontier. 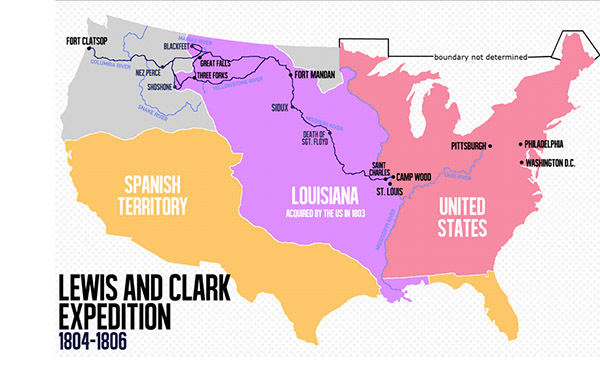 I was fascinated following Lewis and Clark as they hiked across the United States to the Pacific Ocean after Thomas Jefferson pulled off the best real estate deal in America History – buying the 530,000,000 million acres of the American Midwest from France for $15,000,000 in 1803. Let me save you the math, that’s less than $.03 cents an acre. I was enthralled reading the diaries of the Jesuit priests who – along with a troop of soldiers –accidently discovered San Francisco Bay in 1769. They were on a trek up the California coast looking for Monterey Bay. Monterey Bay had been wildly exaggerated in a report to the king of Spain by a ship captain years earlier. So much so that the expedition did not recognize it and continued North and discovered one of the greatest natural harbors in the world. I find these stories captivating. Maybe not quite as adventurous, and just a bit self-serving, I stumbled across an interesting article that told the story of the founding of the market research and survey industry. It was founded a bare 90 years ago by a man named Daniel Starch. Starch developed the (revolutionary) theory that advertisements should be seen and remembered, and he founded a company that interviewed people on the street about ads they had seen and whether they remembered them – or not. What fascinated me about this was that On Target Research, my market research and survey company, having just celebrated its 30th year in business, has been providing market research and surveys for 1/3 of the life of the entire industry. Our clients have included multi-billion-dollar world-class brands such as Saatchi & Saatchi, Marriott, Hitachi and Hilton as well as small to medium sized companies in virtually every industry sector. Since our inception, we have expanded from our headquarters office in Los Angeles and now have offices in Toronto, Moscow, and now one in Sydney. And modesty aside, we are damn good at it. Hollywood restaurant – Revenue increased 150% in first two weeks. Gift industry client – Promotional response increased ten-fold. Dental practice – Number of new patients doubled in the first month. Design and Construction Firm – 50% increase in revenue over prior year. Telecommunications Company – $7,200,000 savings in marketing expense over two years. The clients are happy and we’re very proud. If you would like to make some of your own history give me a call or drop me an email.